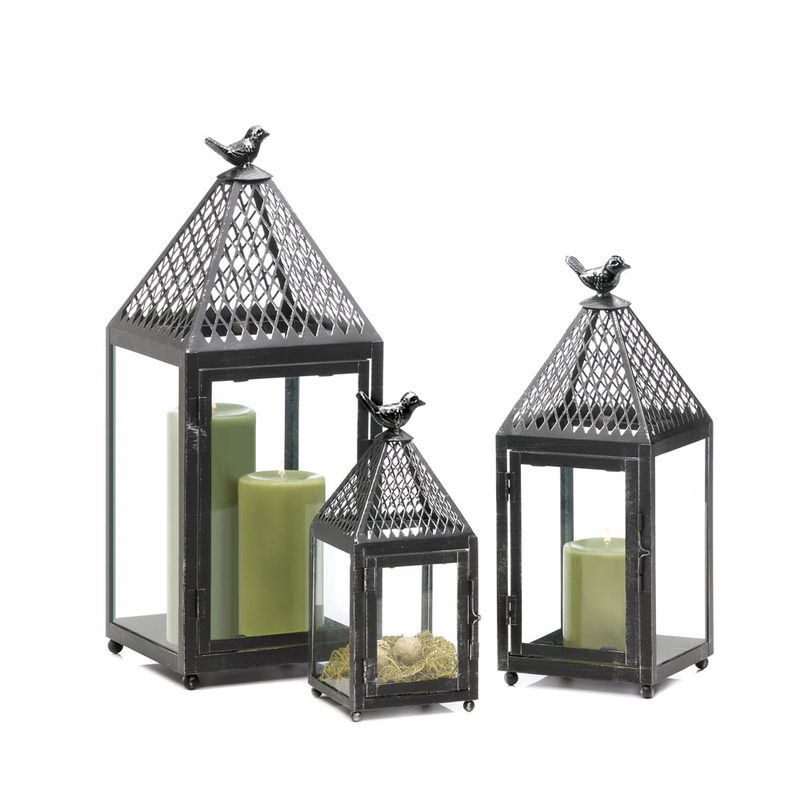 A little birdie told us you needed a fantastic lantern to add some charm to your room! 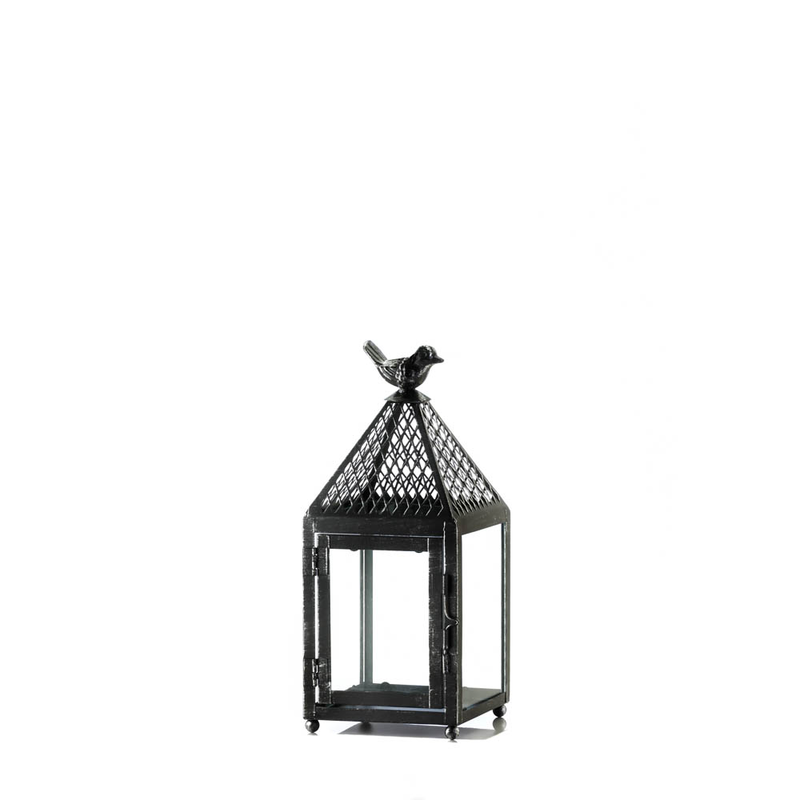 This iron candle lantern features a weathered finish, latticed roof, and a sweet bird finial on top. It’s ready to showcase the candle of your choice and your impeccable style. Item weight: 1.4 lbs. 4 3/8" x 4 3/8" x 10¼" high. Iron. Candle not included. UPC: 849179025328.